Nilsen, ever the exploratory sound experimenter, de facto exchanged his wax rain coat for the white laboratory mantle. On Focus Intensity Power he lets the machines rule supreme. Although BJ says there’s no underlying major concept to the record, the quintet of recordings is tied together to form a sturdy sonic package, tied with a red thread of analog pulse, droning waves and subtle and surprising noise interventions. Washes of natural wind or condensed bustle of London traffic as we have come to know and highly appreciate from his previous works have found their machine-counterparts in sessions that retain the flâneur’s touch of slowly moving, roaming open ears with keen interest in texture and timbre. And at the same time these indoor improvisations yield a tremendous poetic freedom for both artist and listener; boundless walking through layers of pure sound – freed from time and place and space. 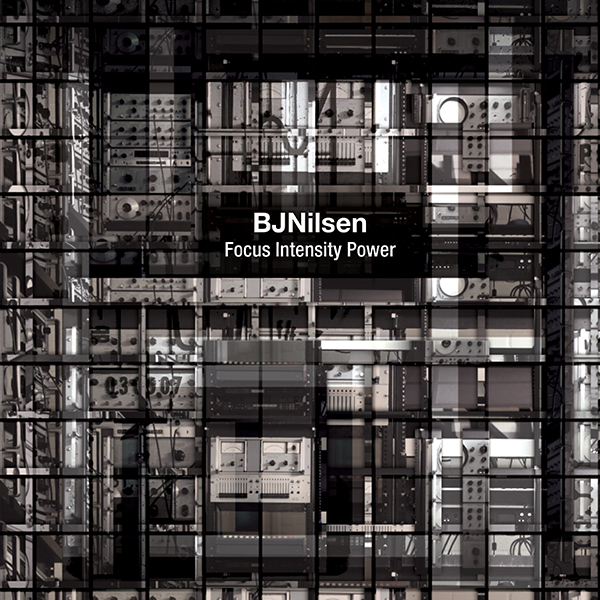 For his inaugural LP for Moving Furniture Records the Amsterdam based Swedish sound artist BJ Nilsen turns his intense aural focus and compelling narrative power away from his well-known and much lauded predilection for field recordings of organic nature or the urban built environment. The five pieces presented on this record capture Nilsen during a short residency he did in the Fall of 2017 at Willem Twee Electronic Music Studio in Den Bosch, The Netherlands – five documents these are of improvised sessions using modular synthesizers, tone generators and test and measurement instruments. You can change your mind at any time by clicking the unsubscribe link in the footer of any email you receive from us, or by contacting us at info@movingfurniturerecords.com. We will treat your information with respect. For more information about our privacy practices please visit our website. By clicking below, you agree that we may process your information in accordance with these terms.